Maddy is picked on by bullies at her new school and terrified by ghosts in the old house her family has moved to – but she soon becomes friends with Clarissa, who slept in that same room and used the same mirror more than 100 years earlier. Then Maddy’s baby brother nearly dies of whooping cough, and Clarissa discovers that her poisonous Aunt Lily is even more evil than she seems. The two girls have to use all their intelligence and verve to fight against Aunt Lily’s plots, each in her own time, with help from Clarissa’s ghostly brother Bertie…but will they succeed? An enthralling, original middle-grade novel by award-winning poet and short-story writer Jenny Blackford. Jenny Blackford writes poems and stories for people of all ages, usually with a tinge of myth and legend, ancient history, science, or deep time. 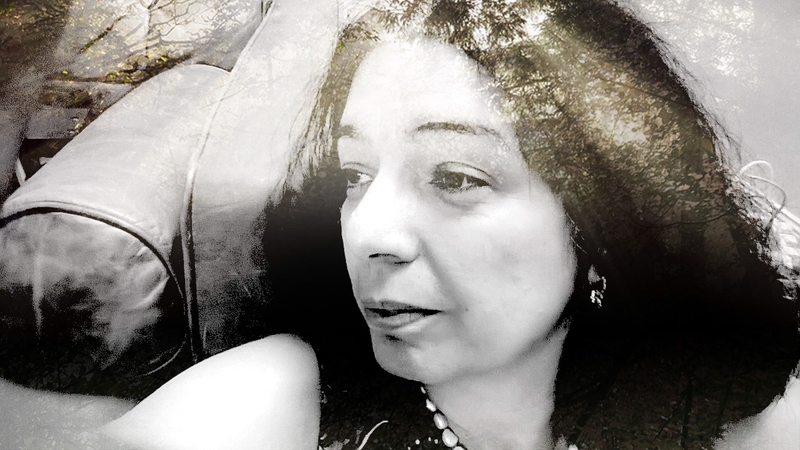 Over 30 of her short stories and over 50 of her poems have appeared in Australian and international anthologies and journals including Westerly, Australian Poetry Journal, The Pedestal Magazine, Strange Horizons and Going Down Swinging. She loves to write for kids as well as adults. Her poems and stories for kids have been published in the School Magazine, Our Home is Dirt by Sea: Australian Poetry for Australian Kids, Stories for Nine Year Olds and other wonderful places. Kids aged 11 plus should enjoy her poetry books The Loyalty of Chickens and The Duties of a Cat, both published by Pitt Street Poetry, as well as her YA novel set in Ancient Greece, The Priestess and the Slave, published by Hadley Rille Books. Jenny’s most recent poetry prizes are first place in the NEWC Thunderbolt Prize for Crime Poetry 2017 and first place in the Humorous Verse section of the Henry Lawson Awards 2017. She won two prizes in the Scarlet Stiletto Short Story Awards 2016 for a murder mystery set in classical Delphi, with water nymphs. In 2014 she was awarded third in the prestigious ACU Prize for Literature 2014. Jenny’s degree was in Classics (Greek and Latin) at the University of Newcastle, but she took a twenty-year detour into large mainframe computer networking before she returned to her first love, writing. The Lighthouse at Pelican Rock launch at end of month! We have acquired a fabulous new novel by Simon Higgins! 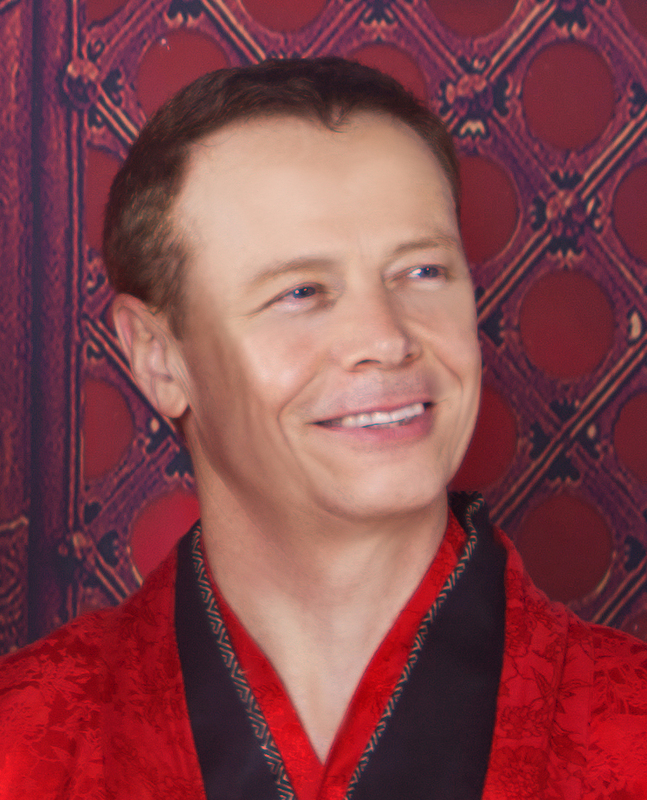 We at Eagle Books are delighted to announce that we have just acquired rights to award-winning author Simon Higgins’ fabulous new historical adventure novel, Tomodachi: The Forest of the Night. Set in the same dangerous, magical Japanese world as his earlier novel, Tomodachi: The Edge of the World, it is however a self-sufficient adventure which will have readers on the edge of their seats. Eagle Books will be publishing the book in March 2019. We are delighted to announce that our next Eagle Books title will be The Lighthouse at Pelican Rock, the fabulous debut novel of talented new writer Stephen Hart. 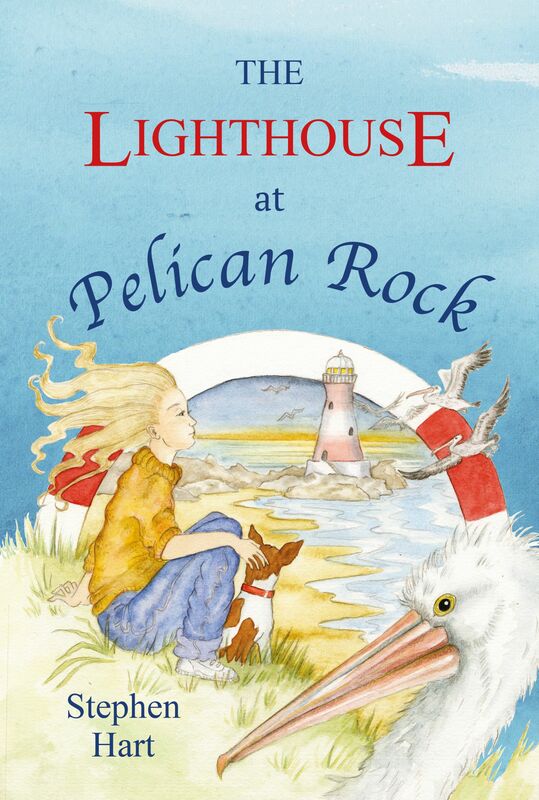 The Lighthouse at Pelican Rock will be published in May 2018, with beautiful cover and internal illustrations by Kathy Creamer. Stephen has a PhD in archaeology and spent several years in Jordan running archaeological digs. He is still regarded as one of the world experts on Edomite pottery. He moved from archaeology to computer programming and has worked in computer gaming, embroidery machines and racecourse totes. He now works for a major Australian telco. He is an accomplished jazz musician (sax and piano). He is married to Australian author Pamela Freeman and they live with their son in Sydney’s inner west. 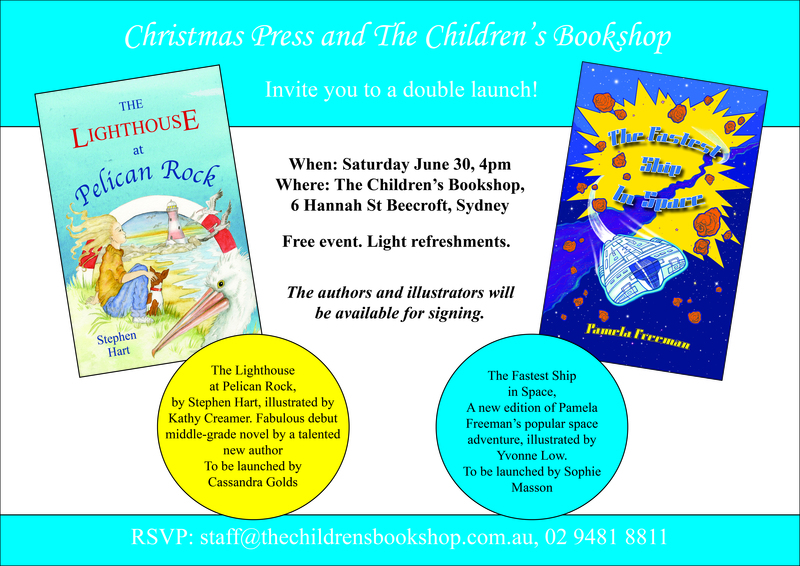 The Lighthouse at Pelican Rock is Stephen’s first children’s book. Kathy Creamer is an illustrator and writer whose work has appeared in numerous books, in Australia and overseas. 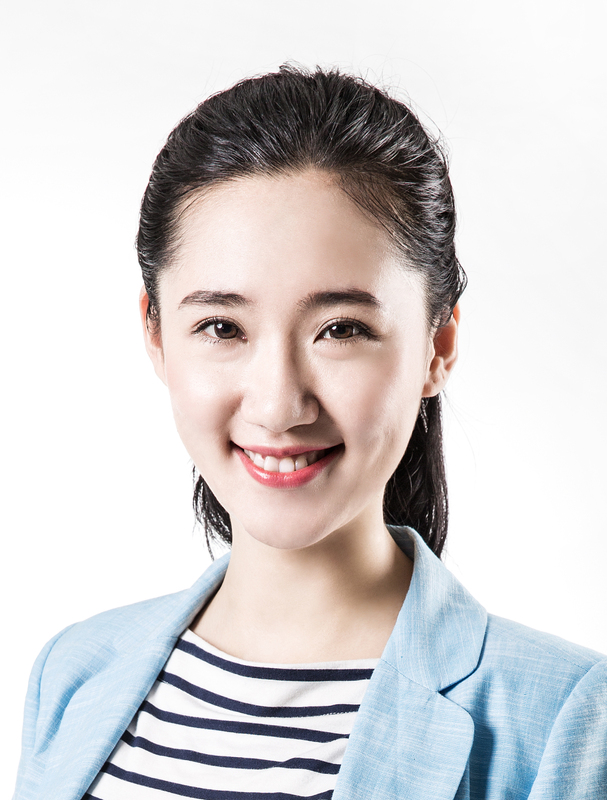 Most recently, she has illustrated the new edition of Max Fatchen’s A Pocketful of Rhymes(Second Look, 2017) and her work has also appeared in the anthologies A Toy Christmas(Christmas Press, 2016) and A Christmas Menagerie(2017). Her picture book with author Sophie Masson, See Monkey, is to be published by Little Pink Dog Books in 2018. 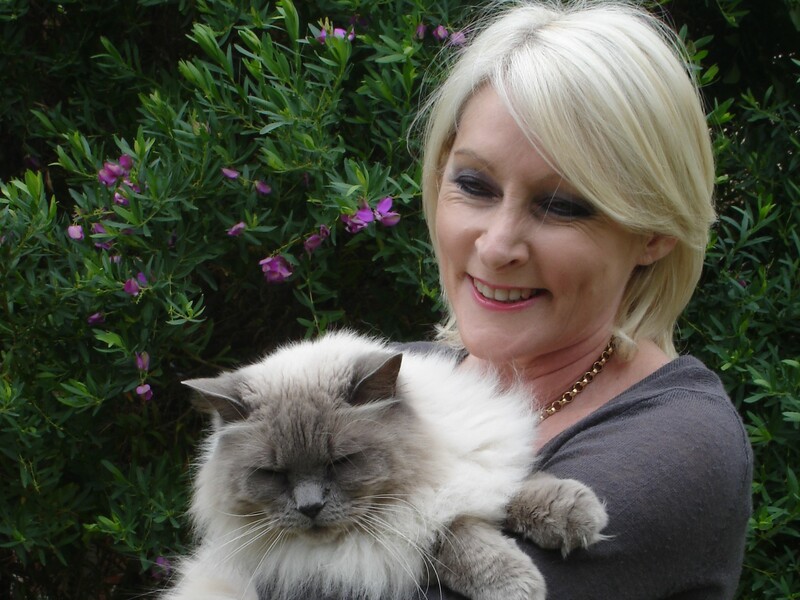 Originally from the UK, Kathy now lives in northern NSW with her husband. She has a Bachelor of Arts in Literature and a Master of Arts in children’s illustration. 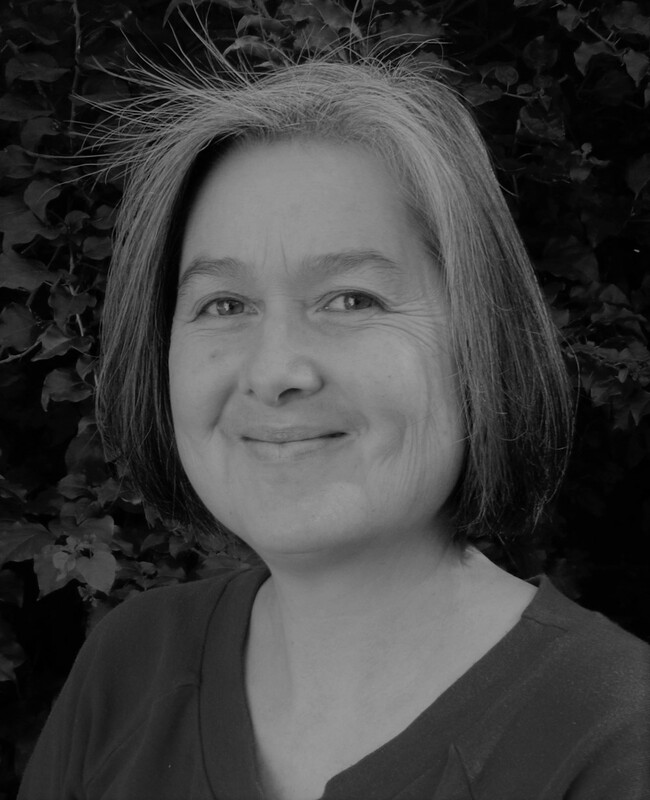 Under the name of Kate Amesbury, she also writes for adults and has had short stories published in several anthologies as well as other writings being awarded high commendations in the Ada Cambridge Prize for Biographical Prose. We have an exciting announcement: for one month only from Monday October 9 to Monday November 6, we will be open for submissions of fabulous adventure novels for readers aged 11 and up. All details are on our Submissions page: if you are thinking of submitting, please read the instructions carefully. Rosalind Duke is just the kind of plucky heroine I love at the centre of my historical fiction. She’s happy to step outside the social norms of her time and she keeps a cool head about her in thrilling circumstances. And there are plenty to be found in this fast-paced adventure. Cngratulations to winner of Jack of Spades giveaway! Congratulations to Mattea Little, winner of the Kids Book Review Jack of Spades giveaway! 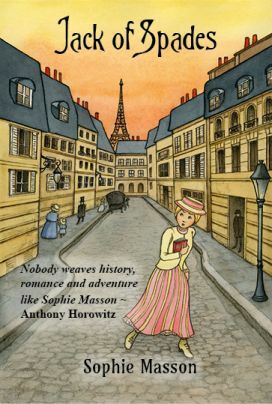 Your signed copy of the book and Eiffel Tower bookmark are on their way! Enjoy! Official release day for Jack of Spades! Today is the day that Jack of Spades is officially released, and you will be able to find it in all good bookshops across Australia. 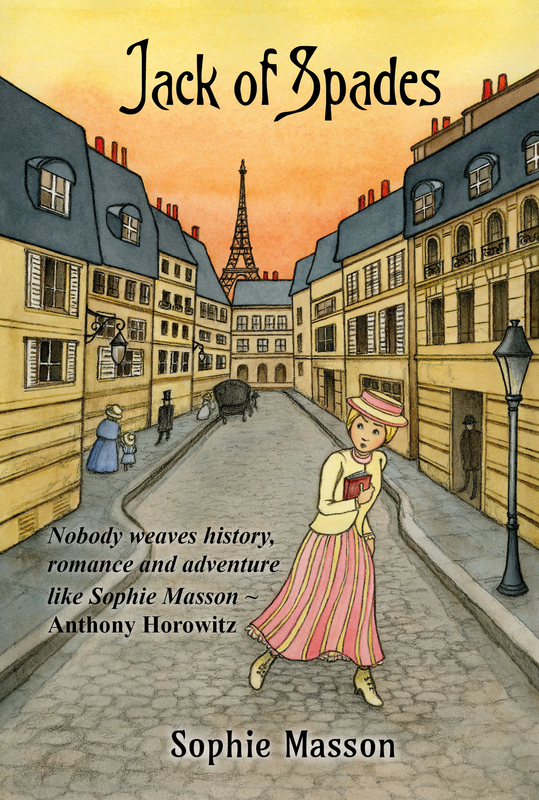 Congratulations to author Sophie Masson and also to cover and internal illustrator Yvonne Low–and may Jack of Spades find many many readers!